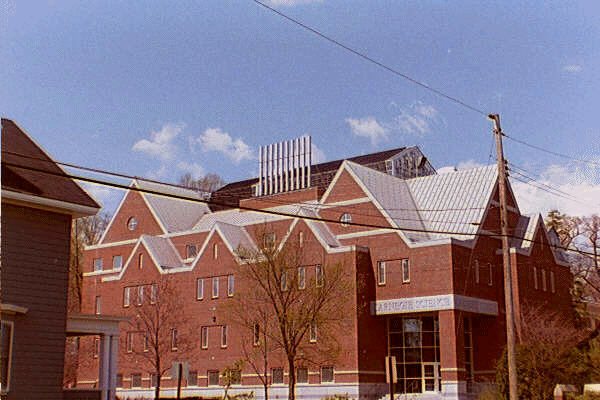 The Biology Department offices and laboratories are located on the third, fourth and fifth floors of Carnegie Science Hall, 44 Campus Ave. Campus tours make only a brief stop in the Carnegie Science Building, so please feel welcome to come back and spend more time in Carnegie during your visit. When classes are in session, we encourage you stop by a teaching or research lab to see what’s going on that day, and you are always welcome to sit in on a lecture class or lab session (please come at the beginning and alert the instructor). Get directions to Bates College. Sylvia Deschaine, the Carnegie Science Academic Administrative Assistant at (207) 786-6490.